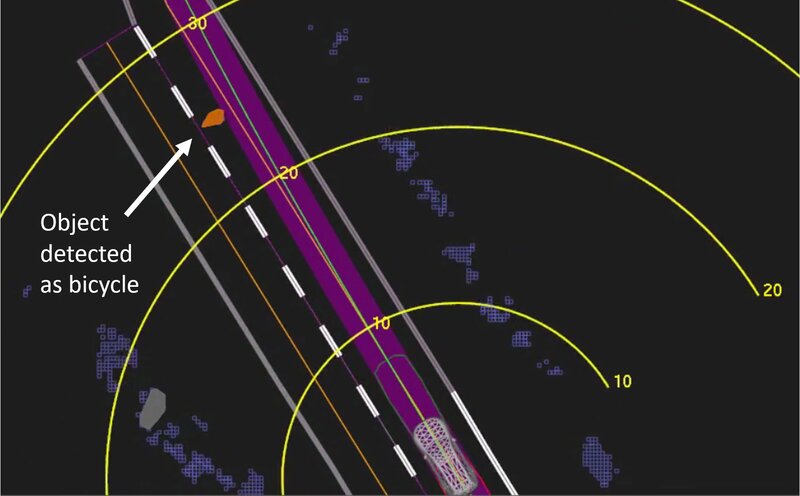 A Thursday preliminary National Transportation Safety Board report on a self-driving Uber SUV’s crash with a pedestrian reveals two possible ADAS collision hedges were disabled or nonexistent. 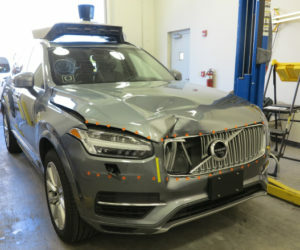 The safety agency also wrote that the modified Volvo XC90’s backup driver — memorably seen looking away from the road just prior to the crash — told investigators she had been monitoring an Uber testing interface in the center stack of the dash. She said she had not been using either of her business or personal cellphones — except after the crash to call 911 — and Tempe police reported no signs that she was impaired by drugs or alcohol. Uber’s design of its self-driving car raises questions about the wisdom of having its backup drivers multitask to watch both the road and the dash interface. Particularly since, according to the NTSB, the ride-sharing company removed the vehicle’s ability to stop itself and failed to install a method of having the XC90 alert the driver a crash might be imminent. Uber also disabled at least some of Volvo’s own ADAS systems, the NTSB said. 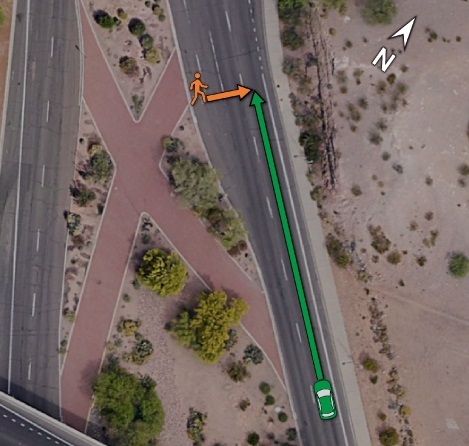 Elaine Herzberg, 49, was struck while walking a bicycle across the Tempe, Ariz., road perpendicular to the vehicle. She died at a local hospital. The nearest crosswalk was 360 feet away, according to the NTSB. The NTSB will continue to examine the self-driving car interface, Uber’s autonomous system and the driver’s cellphones. The lesson for auto body shops here is twofold. First, a single piece of ADAS you fail to deliver in pre-loss condition back to what might be an increasingly distracted vehicle owner could be the difference between life and death. In this vein, while the NTSB doesn’t appear to be checking to see what happened when a car equipped with a more “mundane” technology like autobraking crashes, a shop might still face similar scrutiny from a plaintiff’s attorney.